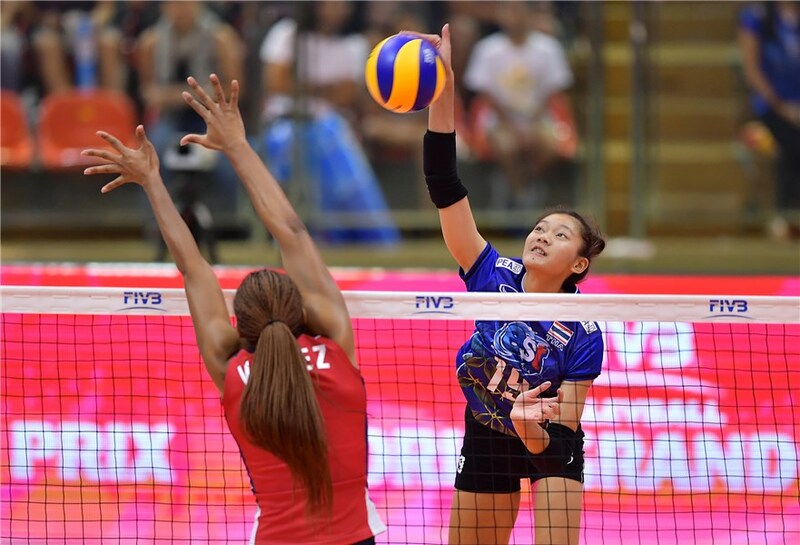 On Friday, the PFU BlueCats announced that they had signed Thai women’s national team player Chatchu-On Moksri to a contract for the 2018-2019 season. PFU will be playing in the V.LEAGUE 1 in the upcoming season. Moksri is only 18 years old, but has already been a star in Thailand with their junior and senior national teams. In 2017, Moksri played on the U23 team in the Asian Women’s U23 Volleyball Championship and was named as one of the Best Outside Spikers in that tournament. She also was a member of Thailand senior national team that played in the 2017 Asian Women’s Volleyball Championship. Moksri was also named as one of Best Outside Spikers in that tournament along with South Korea’s Kim Yeon-koung. Kim Yeon-koung played in Japan with JT Marvelous in the 2009-2011 seasons before moving to play in Turkey with Fenerbache. With Moksri already being compared with Kim, expectations are high for her at a young age. Previously Japanese teams could only have one foreigner signed to their team. However, with the change of the V.LEAGUE to be more professional, the league had given teams the ability to sign an additional foreign player. The additional foreign player may only come from countries from the Association of Southeast Asian Nations (ASEAN). This would include the countries of Brunei, Cambodia, Indonesia, Laos, Malaysia, Myanmar, Philippines, Singapore, Thailand and Vietnam. Jennifer Doris, a middle blocker from the USA had played for BlueCats since the 2013-2014 season and has played in Japan since the 2012-2013. If the previous rule was still in use, the BlueCats would have let Doris go and Moksri would have been the team’s only foreigner. With the new rule, I could easily see both players starting for the BlueCats in the upcoming season.